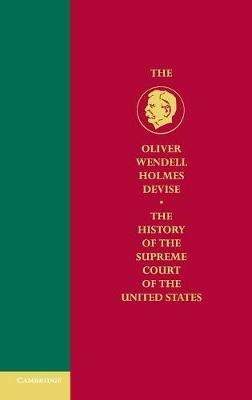 Reconstruction and Reunion, 1864-1888, Part 1A is the first part of the sixth volume of the Oliver Wendell Holmes Devise History of the Supreme Court of the United States. In these volumes, Charles Fairman examines the activity of the Supreme Court during the tenure of Chief Justice Salmon P. Chase, considering issues of procedure, doctrine, technicalities of pleading, and the precedents and consequences of the Court's work. The first of the two volumes is devoted to judicial politics and the internal history of the Court during the politically and constitutionally turbulent Reconstruction period. Discussions of specific cases as they relate to the constitutional issues that stemmed from the war's conduct contribute to an overall picture of the Supreme Court's role in Reconstruction and its relationship to presidential and congressional Reconstruction policies.